I found this to be an incredible trip with wonderful experiences and I recommend others to volunteer for the twice yearly trips in the future. Installing the Clean Water System was an important task along with the other projects the teams completed. For me, the life changing experience was getting to know the Guatemalan people, seeing their lifestyle, understanding their struggles and falling in love with the kids. These are beautiful people in a beautiful country. If you need to use any of these photos, send me an email and I’ll send it to you or you can purchase it from the website for a nominal cost and help fund my next trip. God Bless. Guatemala Mission Trip - Day 7 - Thursday, November 15, 2007. Dedication Day. 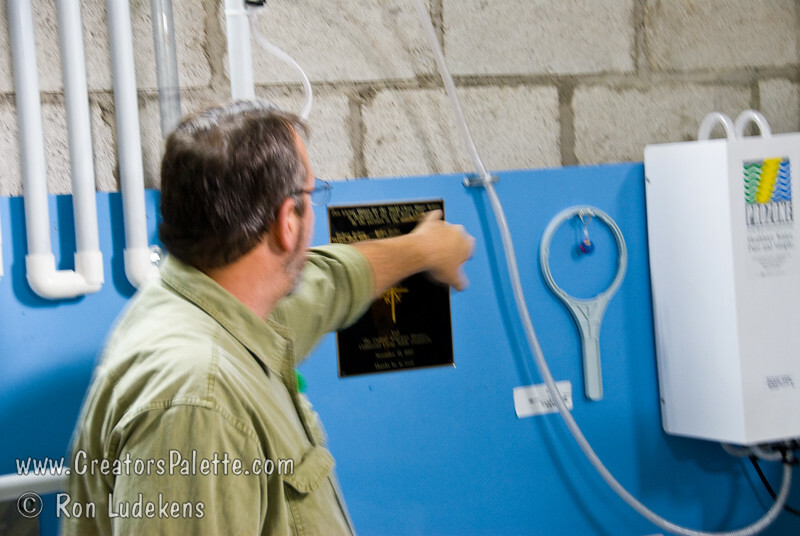 Johnny reading the plaque to the pastors.